East Grampians Health Service has a statutory obligation to report legislative compliance status on a range of matters. The Committee consists of Board Directors and community representatives and meets quarterly. East Grampians Health Service has a commitment to the principles of merit and equality in employment and people management. The staff recruitment and selection procedure was reviewed during the year ensuring ongoing compliance with the Public Sector and Employment Act 1988, and contemporary employment practice. The multidisciplinary Occupational Health & Safety Committee initiates and co-ordinates development of workplace safety policies and procedures, identifies and assesses workplace hazards, and provides for relevant education and training. The development of a service-wide Clinical Governance and Risk Management strategy continues. Adheres to the principals of Acute, Aged Care and Disability Services Outcome Standards. It’s important for the quality of our organisation to encourage consumer feedback. It provides constructive information and helps us plan for the future. We give consumers every opportunity to contact us to let us know when things go well or when they don’t meet expectations. We acknowledge that we don’t always ‘get it right’, however we are committed to addressing concerns and improving the way we deliver services. The Complaints Officer manages all community concerns confidentially. All formal complaints are directed to the Chief Executive and are dealt with according to guidelines laid down by the Health Complaints Commissioner. Both compliments and concerns are equally as important in shaping our future service delivery. Any problem is usually best solved at the point of service in the hospital. However, if you remain dissatisfied with our response, you may contact the Health Complaints Commissioner (HCC). The HCC responds to complaints about health services and the handling of health information in Victoria. Their service is free, confidential and impartial. To lodge a complaint with the HCC fill out a complaint form online at www.hcc.vic.gov.au or phone 1300 582 113 between 9am and 5pm, Monday to Friday to discuss your complaint. Market changes are monitored and reviewed according to the guidelines of the Victorian Government Competitive Neutrality Policy with additional benchmarking being conducted where applicable tenders were received. 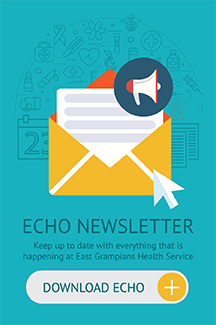 The East Grampians Health Service makes available to all interested persons any of its publications and produces a range of brochures aimed at informing the public of the range of services available. No consultancies were undertaken during the year which exceeded $100,000. East Grampians Health Service has policies in place to ensure that personal health information remains confidential and secure, will only be used by non-Service staff with the consent of the patient, and is accessible by the patient under Freedom of Information guidelines. Patients, residents and clients are informed of their rights regarding their health information, on first contact with the Health Service. All fees charged by East Grampians Health Service are regulated by the Commonwealth Department of Health and Ageing, the Commonwealth Department of Family Services and the Hospitals and Charities (Fees) Regulations, 1986, or as otherwise determined by the Victorian Department of Health.